Intensi-Spot - Radiation Products Design, Inc. 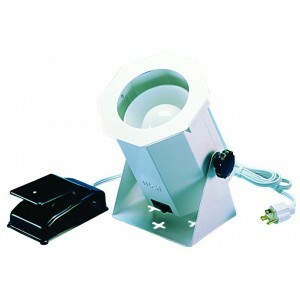 The Intensi-Spot provides a concentrated light source for viewing sections of an overexposed film. Utilizing a 75-watt lamp, shielded by an octagon mask for light concentration, the Intensi-Spot can be tilted to any angle. The Intensi-Spot includes a handy foot switch that can vary the light's intensity. 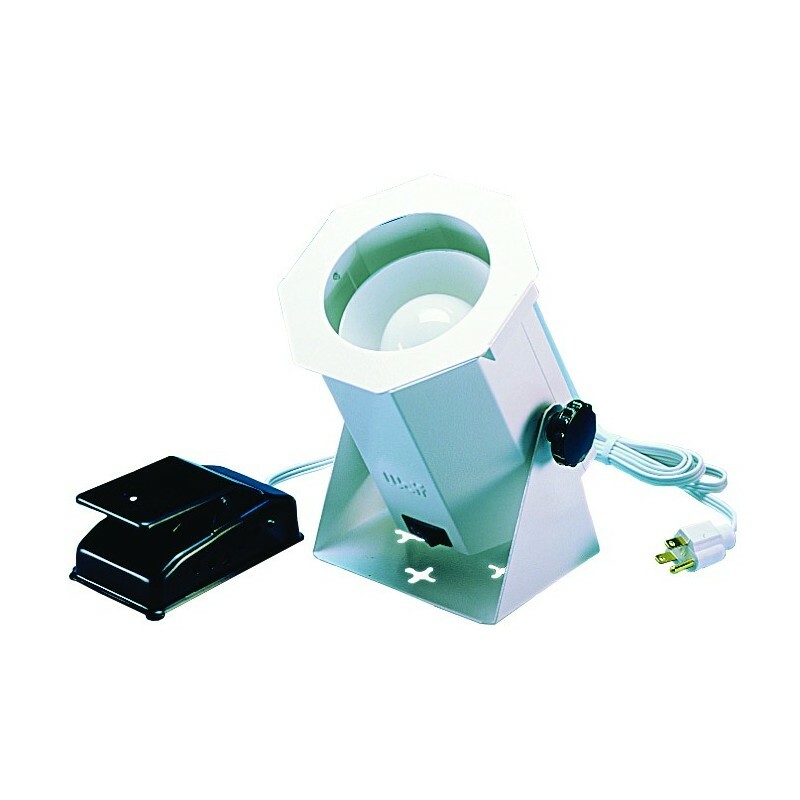 The unit comes in a baked-on white polyester powder finish, with holes in the base for wall mounting, and a 6’ (1.8 m) power cord with 3 prong plug.